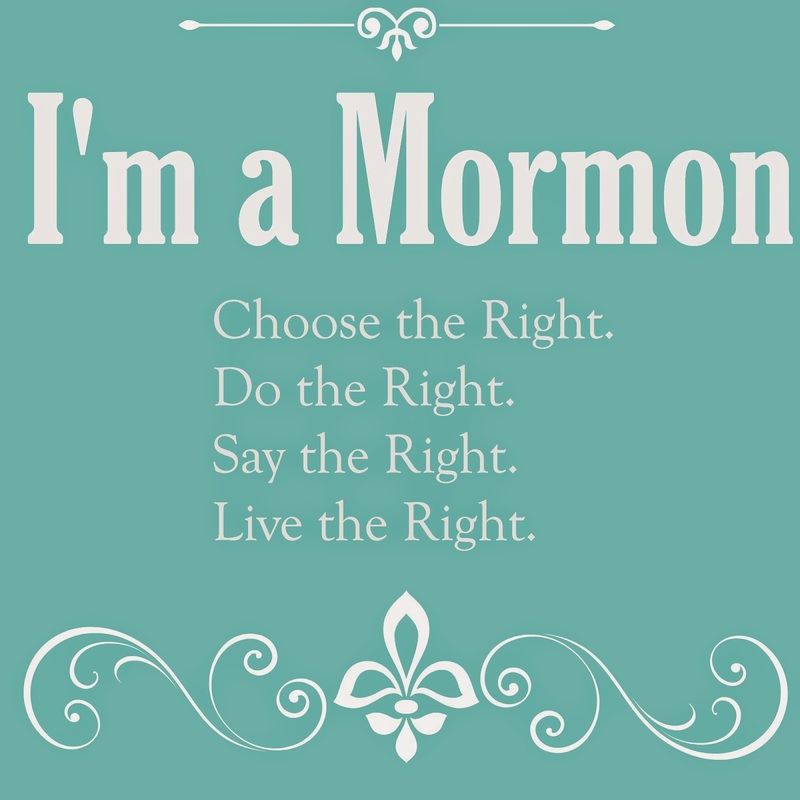 Adventures of a BusyBee: I am a Mormon! This past week, as members of The Church of Jesus Christ of Latter Day Saints, we participated in watching the sessions of General Conference, which is our bi-annual meeting where all the leaders converge to speak to the worldwide congregation as a whole. As usual, it was WONDERFUL and I enjoyed it immensely. I wish it was every 4 months instead of 6. That's my only complaint! I was writing to my 20 year son that night, who is currently serving a 2 year missionary for our church, and I told him that the theme of the conference seemed to focus on staying strong despite the opposition against the church that seems to be hurdling at us faster and stronger than ever before. I feel like it is, anyway. But it doesn't deter my testimony or my desire to be faithful in sharing the glad message of the gospel. As I was sharing those things with him, I wrote this in conclusion to my feelings about staying strong despite opposition: Choose the Right. Do the Right. Say the Right. Live the Right. Later that evening, I remembered that our leaders had asked us to do what we could to share the news about the film that the church is releasing in theaters this weekend called "Meet the Mormons". As I was quickly designing an image to use on my facebook profile picture, I remembered what I had said to him earlier. So, I decided to include it in my image. Is it grammatically correct? Nope. That's okay. I'm not the Grammar Nazi, as you can probably tell when you read my blog. I'm just a happy girl expressing my feelings. I encourage you to view the movie if you are able, and if you're not familiar with our church, I think you'll be surprised what you learn from the 6 people whose stories are shared. Here is a link for the Meet the Mormons Locations and viewing times. And one more thing I'd like to share. 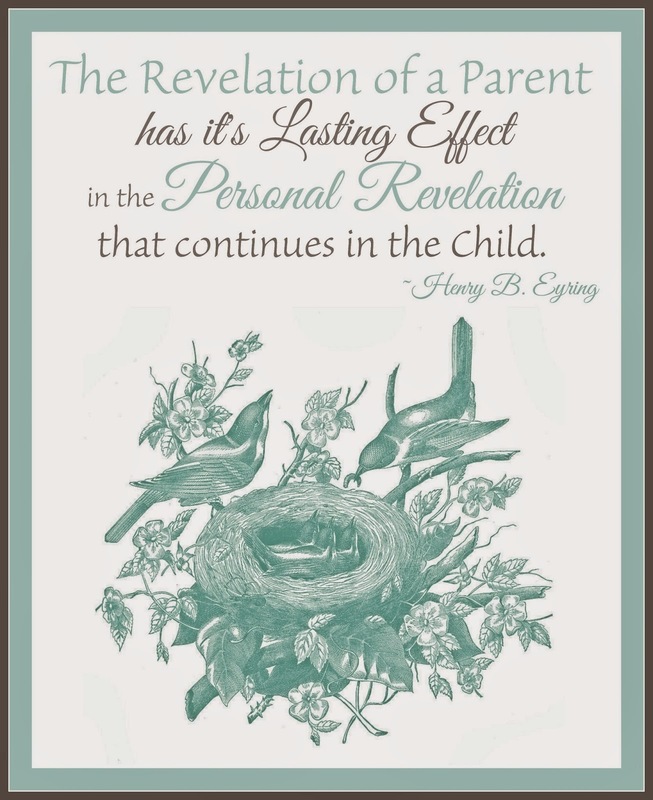 This is a quote from one of the talks by Elder Henry B Eyring , who is one of the counselors in the First Presidency of the church. It really spoke to me, so I made a graphic from what he said. My sweet husband and I both have children from our first marriages. We didn't chose to end our marriages, but our spouses did when they made choices contrary to our faith, and left our individual families. But part of what we believe is that everyone has agency to do as they choose, so we have to let them own their decisions. Sadly, all of our children have suffered greatly from those choices, and still deal with the repercussions of their choices in their own lives. Along with my wonderful husband, we hope that by striving to live the gospel in the way that we know our Heavenly Father wants us to, and by making our own decisions to be faithful and receive revelation for ourselves, our marriage, and our children, that revelation will eventually trickle down to them as well. Even when they are choosing to live outside of the gospel themselves and not seeking their own personal revelation from our loving Father in Heaven. And when they are seeking it, we know that they will receive the answers they need, from Him. As always, however, we are praying for how to best parent them, and how to BE the best parents we can be for them. That is something that is not easy when we don't have them living with us. So that's why this quote struck me so deeply. It was putting into words the hope that my husband and I have had for our children, and pray for on a daily basis....that they can know for themselves, and that we can be good examples. I hope it brings someone else the same peace and comfort it has brought to me.